Sunlight streaming through leaves, the chirps and squeaks of… – Sig Nordal, Jr.
Sunlight streaming through leaves, the chirps and squeaks of birds and animals in the trees, and the rich scents of the outdoors make the forest a happy place for many people. Today on International Day of Forests, we recognize these special places and their importance to wildlife and recreation. 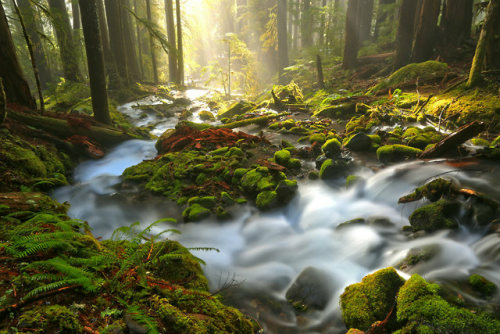 Photo of the Sol Duc rainforest at Olympic National Park in Washington by Adam Jewell (www.sharetheexperience.org).